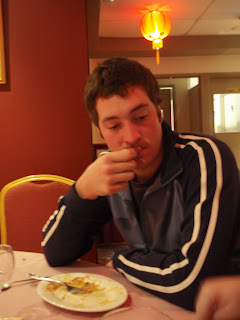 away at retreat we went to the Greenwell Point Bowling Club Chinese for dinner on the Sunday night. I was given this lovely box of flowers by my dear friend Esther after I had minor surgery. Aren't they pretty, purple & orange 2 of my fav colours. LAst weekend I was asked by my friend Andrea if I would give her a refresher course on sewing. So I gave her some scrap and let her practice for a little while. Once she had some confidence, she made this little pin cushion. I have joined a flower hexy swap in the craft forum and this is my very first attempt at making one. This is for Lynette. I hope she likes it - I am quite proud of my first attempt. A sneak preview of the apron I have made for Donna - opening day is next Wednesday so you can't see it all just yet. I loved this so much I have one sitting cut our ready to make up for me. I am also hoping to make a few for the S ECET fund raiser Garden party on November. My niece is having her new baby girls next Friday and these are the bunny rugs and burpers I made for her baby shower last Sunday. This months framed hexy was for Linda. I have made Linda a few things this year and had a little of the fabric left over so I used it on her hexy. Jeanette made this hexy for me this month. I haven't been able to master embroidery so am very happy to be given a hexy with such beautiful work. You've been very busy gail,all lovely as usual.I can't wait to see what everyone makes with their hexies from this swap :) Barb. Lovely work Gail. I am sure your niece will be thrilled with the baby shower gifts. You have been busy love your hexis and Great one received from Jeanette.